Teaching Assistant/Instructor – University of Georgia - Courses taught: Principles of Management, Strategic Management, Organizational Behavior, Entrepreneurship, and Small Business Management. Assistant Professor – Pennsylvania College of Technology - Currently teaching Management, Accounting, and HR Information Systems, Managerial Economics, Project Management and general business courses. Cash Department Manager – Rosenthal Collins Group - Responsible for $120 - 150 million in over 15,000 customer accounts and over 90 bank accounts and for the supervision of all daily departmental activities and staff. Professor Gustafson has earned numerous certifications related to his fields of interest, including being a Microsoft Certified Trainer, Systems Engineer, Developer, and Product Specialist; a certified Sun Technical Instructor and Programmer (Java 1.1, Jav2); a Prosoft Certified Intructor and Internet Webmaster; an IBM Certified Specialist for IBM WebSphere Application Server Standard, Advanced, and Advanced Single Server; an IBM Certified Solutions Expert for IBM WebSphere Studio Profesionnal or Advanced; a Sybase Certified Instructor and Adaptive Server Administrator Associate; as well as a CompTia A+ Service Technician. Pennsylvania College of Technology – Teaches courses in general management and international business. Management experience in engineering and public affairs. Dr. Nededog enjoys traveling, having spent time in Western Europe, Asia, and Africa. His teaching interests include general management and international business. Developed an instructional program for teaching computer courses as part of a continuing education program. Financial Accounting, Managerial Accounting, Managerial Cost, Cost Accounting, Accounting Principles, Intermediate Accounting 1 and 2, Advanced Financial Accounting, Managerial Finance (utilizing spreadsheet applications), Business Organization & Management, and Principles of Management. Courses taught: Principles of Management, Principles of Marketing, Introduction to Business, Human Resource Management, Microeconomics, Macroeconomics, Industrial and Human Factors Design Applications. Formed the Schuyler Collaborative Group, LLC to purchase and operate a full service embroidery company. Director of Business Development and Referral Relations - Susquehanna Health - served the Occupational Health Center, the Physician Group, and the MRI Center. Account Manager – Standard Register - managed a multi-state territory selling forms, hardware and software solutions for document management applications to the healthcare, financial, and manufacturing sectors. Major accounts included Geisinger Health System and Johns Hopkins Hospital. Field Service Manager - Topp Copy - managed the Williamsport and State College branch offices and a team of nine field service technicians. Chef Craig Cian is lead instructor for Foundations of Food Preparation and Production (Le Jeune Chef Restaurant) (FHD 211), Front Office Management (FHD 275), and Artistic Buffet Decoration (FHD 258). He also serves as the Culinary Arts (FHD 269) Internship Coordinator. Chef Cian has extensive retail background, degree preparation in Hotel, Restaurant and Institutional Management (BS, The Pennsylvania State University-Fall 1981) and holds a master’s degree in Education (Wilkes University-1988). He also serves as a Culinary Specialist/Evaluator with the Accrediting Council for Independent Colleges and Schools (ACICS) in Washington, DC. Chef Michael J. Ditchfield earned his Master of Science degree in Education from Wilkes University, a Bachelor of Science degree from the Pennsylvania College of Technology in Culinary Arts Technology, and an Associate’s degree in Applied Science from Paul Smith’s College in Hotel and Restaurant Management. Chef Ditchfield also studied at the Culinary Institute of America as part of their Continuing Education Program in Professional Chef’s Skill Development, Garde Manger, Baking and Pastry Arts, Seafood Cookery, and Sauce Cookery. Chef Ditchfield was honored with a Distinguished Teaching Award in May of 2011. The award was “in recognition of excellence in instruction and quality service to students”. He presently teaches Regional American Cuisine, Catering, Meat and Seafood Fabrication, and Advanced Dining Room Management. He also serves as an internship coordinator. Chef Ditchfield has worked in three Ritz Carlton properties for personal enrichment and skill development, most notably the Ritz Carlton, Buck Head in Atlanta during the 1996 Summer Olympic Games. Chef Ditchfield works extensively with organic and sustainable farmers. He considers them to be primary sources of the fine ingredients needed to prepare excellent cuisine. His classes often involve trips to an organic farm, trout nursery, a winery, food demonstrations at local growers markets, harvest dinners, and sourcing out quality food and producers. Chef Todd Keeley began teaching at Penn College as an adjunct instructor in 2006 and became a temporary full-time instructor in 2013. In 2015, he was awarded a full-time position in the department. He holds an AAS in Baking and Pastry Arts and is currently working towards a BS in Technology Management. At Penn College, Chef Keeley has taught Introductory Baking, Cakes and Decorations, Principles of Bakeshop Production, Cakes, Pastries and Desserts, Classical and Specialty Dessert Presentation and Sugar Art. Chef Keeley is also an adjunct instructor at the Pennsylvania School of Culinary Arts, where he has taught Introductory Baking for Culinary Arts, International Breads, Basic Nutrition, Basic Human Relations, Food Service Math and Food and Beverage Management. Chef Keeley also serves as a consultant for two local businesses. Chef Keeley has been around the industry since the age of three when his parents began a cake decorating business out of their home. At the age of five, his parents opened a retail bakery in Lewisburg, PA. During Chef Keeley’s twenty-three years of full-time food service experience, he has owned and operated a decorated cake business and a café, which offered breakfast and lunch items, a retail bakery including decorated cakes, a full line of espresso-based beverages and catered events. He has also served as the director of bakery operations at Country Cupboard in Lewisburg, PA. Chef Paul Mach is a Certified Specialist of Wine from the Society of Wine Educators, and in 2001 was the 20th recipient of Penn College’s Veronica Muzic Master Teacher Award, the College’s highest faculty recognition. Chef Mach earned his Bachelor of Science degree in Food Service Management from Empire State College, an associate’s degree in Food Service Administration from Erie Community College, and an Associate in Occupational Studies in Culinary Arts from The Culinary Institute of America. Chef Mach has taken his students and cooked for thousands at 29 Kentucky Derby and Breeder’s Cup events, as well as the Ryder Cup at Valhalla CC in Louisville, KY and, for 25 years, at the Harvest Festival of Hunt Country Vineyards in the Finger Lakes of New York. Chef Mach has also taken students to visit many industry sites including New York and Pennsylvania wineries, Cargill Salt and Beef Production Operations, and numerous hospitality production operations and restaurants in the Northeast region of the United States. Chef Mach is very active beyond the classroom, most notably as the co-host of the popular public television cooking series “You’re the Chef”, as well as the author of the show’s companion cook book of the same name. As an outreach activity for the College, he continues post-production appearances on radio, at regional conferences, and in elementary, middle and high school visitations. The “You’re the Chef” brand also appears in the quarterly periodical Inside Pennsylvania, where Chef Mach collaborates with a staff writer to create seasonal recipes for the state-wide readership. He presents seminars on food, wine and beer at regional restaurants, the PA Farm Show and the Finger Lakes Wine Festival, where he has served both as Bacchus, Host of the Festival and the Guest Chef of the Festival Taster’s Banquet for the last 17 years. He has been a wine judge for the prestigious New York Wine and Food Experience, the Academy Awards of the New York State Wine industry. Charles is a chef instructor at Pennsylvania College of Technology, where he has been teaching baking and pastry arts since 2005. He is a 2017 Top Ten Pastry Chef in America by Dessert Professional Magazine, and holds several awards from the College, most recently a Distinguished Teaching Award in 2015. His nine years of industry experience includes bakeries, restaurants, hotels, and clubs, including The Penn State Bakery and The Ritz-Carlton Hotel Company. Charles’ work extends well beyond the campus classroom. He is an active member of The Bread Bakers Guild of America, assisting with educational conferences all over the country. He supervises students at the Kentucky Derby each year, where they cook and bake for thousands of guests. Charles is a guest instructor for the Department of Food Science at Penn State, teaching baking science and product development. In 2015, Charles was a national finalist for Team USA, which competed at the 2016 Coupe de Monde de la Boulangerie. Charles regularly collaborates with industry partners as well, creating interactive demonstrations and educational experiences for industry shows, most recently at the RCAP National Candy, Gift & Gourmet Show, Atlantic Bakery Expo, and NY Cake Show. Chef Frank Suchwala has worked for Penn College since August 1998. Before joining the College, he worked in the food and hospitality industry for over 18 years. He earned degrees in Culinary Arts and Food Service Management from Johnson and Wales University and while working at Penn College continued his education to obtain a Master of Science degree in Instructional Technology from Bloomsburg University. In May 2009, Chef Suchwala received an Excellence in Teaching Award in recognition of excellence in instruction and quality service to students. Through his varied experience and different work locations throughout the country, Chef Suchwala brings with him real world experiences that will help students succeed. Chef Suchwala is involved with the Penn College Diners’ Club as an adviser and has helped with the Central Pennsylvania Food Bank fundraiser “Soup and a Bowl”. Chef Suchwala also worked as a co-developer for a new program field of study in the School of Business & Hospitality, the Business Administration: Sport and Event Management Concentration (BBP). Chef Mary G. Trometter has been teaching at Pennsylvania College of Technology since 1989, starting as temporary full-time and moving to permanent full-time in 1990. She earned her bachelor’s degree in Hotel & Restaurant Management from Widener University and a Master of Education degree from Wilkes University. Her primary focus is teaching Foundations of Professional Cooking (FHD101) to students enrolled in the Hospitality Department degree programs. Chef Trometter is in direct contact with all the first- or second-semester students with abilities ranging from the novice student, to students entering from vocational programs, to experienced cooks from the industry. She is primarily dedicated to establishing sound culinary technical skills, organizational skills, introducing the importance of team dynamics and a respect for the beauty and the “beast” that is the hospitality profession. Having spent her teenage years working on the family farm, Chef Trometter remembers the hard work and toil all farmers experience to produce quality crops. Pulling weeds, cutting hay and selling produce out of the family pick-up truck provided an education one cannot find in a book. The work was hard but enriching, both physically and spiritually. Kevin has served as Director of the Paralegal/Legal Assistant program since 1990. He has placed and supervised over 400 paralegal student interns at various sites, including law firms, government agencies, corporations, businesses, community service organizations, and health care providers. He is a licensed attorney and member of the Lycoming Law Association and the Pennsylvania Bar Association. Please feel free to contact Kevin if you have any questions about the Paralegal program at Pennsylvania College of Technology. 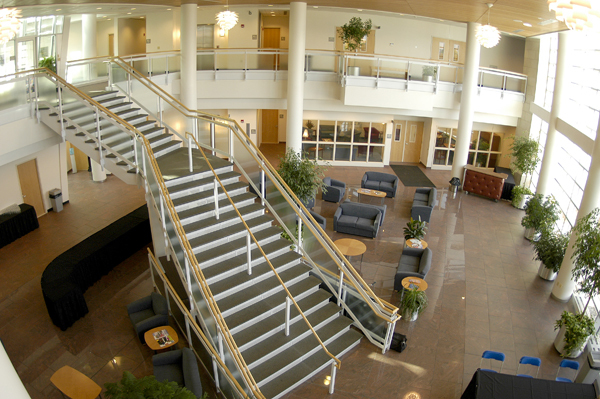 Pennsylvania College of Technology (2003 – present) – teaches a variety of courses including Advanced Legal Research, Writing and Analysis, Bankruptcy Law, Business Ethics, Business Law, Business Organizational Law, Civil Litigation, Civil Practice and Procedure, Estate and Trust Administration, Family Law, Legal Assistant Internship, Legal Ethics, Legal Issues and Applications in Hospitality, Legal Research and Writing, Senior Project: Legal Assistant Studies, and UCC and Intellectual Property Law. Licensed attorney for 13+ years. Areas of practice included civil litigation, workers’ compensation, real estate law and family law. Responsibilities included teaching courses relating to Web & Interactive Media as well as Information Technology. Associate Professor – Pennsylvania College of Technology - Currently teaches courses related to web page development, web design, and programming. Teacher – Belmont Central High School, Belmont, NY - Taught business education courses. Denise has 32+ years experience teaching college students both in the classroom and online. One of her main goals as an educator is to help students learn and be successful by being flexible, having fun, and maintaining a positive attitude. Teaching and learning is an exciting, evolutionary process. During Denise’s teaching tenure at the Pennsylvania College of Technology, she has received the following awards: Distinctive Teacher Award, two Distinctive Service and Professionalism Awards, and an Excellence in Teaching Award.